You may also call the hotel directly @ +1 (714) 670-7200 and reference 6Sigma group. Fairfield Inn & Suites Anaheim Buena Park/Disney North is a newly renovated hotel featuring an inviting modern lobby to relax in and flexible spaces to work in, with free WI-FI throughout the hotel. 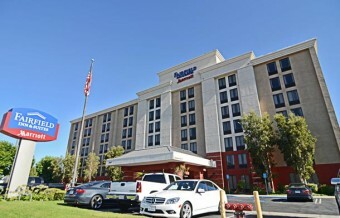 Our Buena Park Hotel is conveniently located near I-91 and I-5, just about half a mile from Knott’s Berry Farm, Knott’s Soak City, Medieval Times Dinner & Tournament, Pirates Dinner Adventure and a very short distance from Disneyland, Anaheim Convention Center, Honda Center and Angel Stadium. Our location is just minutes from Southern California’s most famous beaches, great shopping and a variety of restaurants. During your visit, enjoy our newly equipped guestrooms with free WI-FI. Relax and unwind in our pool, whirlpool or fitness room. Enjoy our free Hot Breakfast every morning to get a great start to your work or play day. Your stay at our Buena Park Hotel is sure to be of great value, comfort, service, productivity and fun.